/ Modified sep 4, 2018 2:41 p.m.
Mexican President-elect Andrés Manuel López Obrador and Sonoran Gov. Claudia Pavlovich. Courtesy Morena and Claudia Pavlovich. HERMOSILLO, Mex. — Mexico’s president-elect has proposed creating a special economic zone along the border with the U.S., and Sonora’s governor said this week that she supports the idea. Sonoran Gov. Claudia Pavlovich said creating the “free zone” would bring investment, jobs and a better quality of life to border communities. 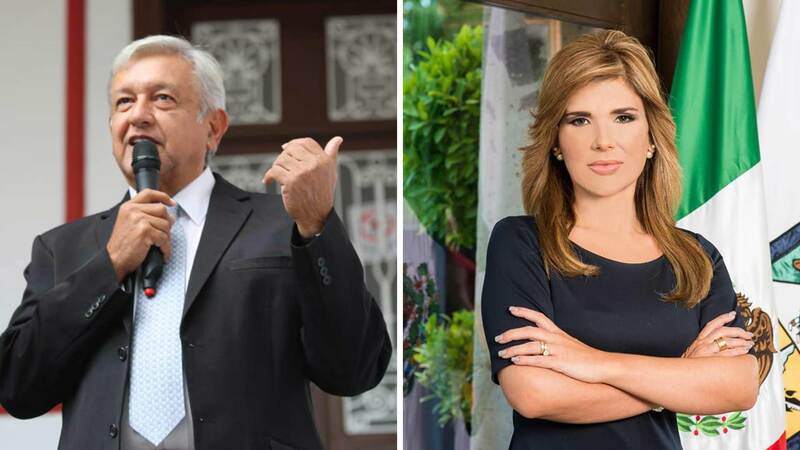 Coincido con el Presidente electo @lopezobrador_, en la propuesta de reducir el IVA al 8% y el ISR al 20% en la Frontera Norte, pues fomentará la llegada de más inversiones, que se traducen en más empleos y una mejor calidad de vida. President-elect Andrés Manuel López Obrador has talked about reducing taxes, raising wages and matching gas, diesel and electric prices with those north of the border. The special zone would span the entire length and for nearly 20 miles into Mexico. Sonoran business leaders have also been optimistic about the idea. Gerardo Vazquez is head of the manufacturing industry council in Sonora. He says creating the border zone will bring growth and investment that is needed to keep the region competitive, especially as the U.S. and Mexico are in talks to renew a free trade agreement. Vazquez sees this as an important time to focus on the border region. But in Arizona, leaders say they aren’t yet sure what the plan meant to boost Mexico’s economy would mean for their state. “I think people are very intrigued with what is happening, and there could be a potential for benefit on the Arizona side depending on how it really unfolds,” said Todd Sanders, president and CEO of the Greater Phoenix Chamber. He says there are still a lot of unanswered questions about what he called the “big ideas.” Reducing gas prices and taxes near the border could reduce cross-border shoppers to Arizona. On the other hand, improving the economy south of the border could be good for Arizona if it boosts Mexicans’ buying power. “I think it’s a good omen for us on this side to see the president coming with something that really is meant to spur the economic activity on the border,” he said. Sanders added that Sonora’s governor has a good relationship with Arizona leaders, so her support for the idea gives it credibility, too.